So that's what's driving this whole thing. 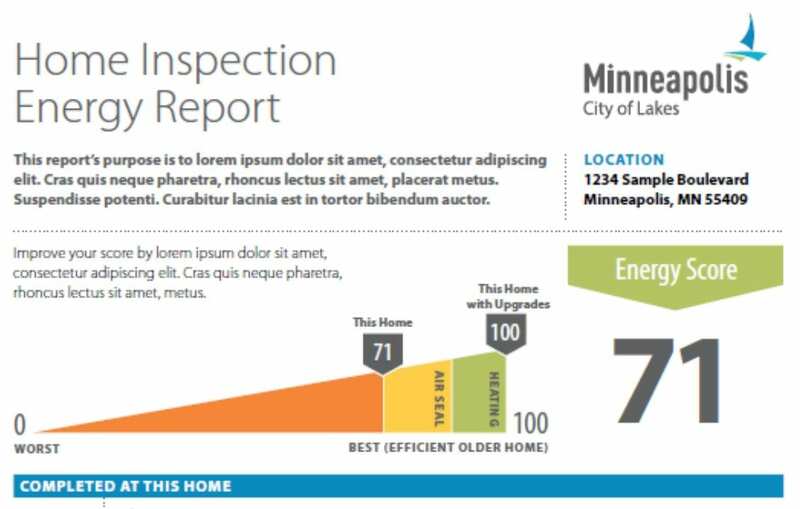 Minneapolis is committed to implementing a program that discloses information about energy use in buildings at the time that the building is offered for sale. The analogy I've heard is that we don't buy vehicles without MPG ratings, but we're perfectly accustomed to buying homes without energy ratings. The logical counterpoint to this argument, however, is that we're perfectly accustomed to buying used vehicles without MPG ratings. We attended an information meeting on the program in 2017 and decided that we were not willing to participate in the pilot program. The pilot program required blower door testing and a bunch of data collection for $75 per home, which was not feasible for us. My company backed out of the program at that point, and I've heard little about it since. TISH evaluators aren't insured to drill holes in walls. That's for starters. Even if we could get past a dozen more objections like this, is there really value in drilling through the wall? I seriously question the benefit of drilling a hole in the wall. What if you just happened to drill the one area where insulation was added? Or vice versa? In order for this program to be viable, I believe that the additional cost to homeowners will need to be minimal. The folks designing this program seem to think so too. 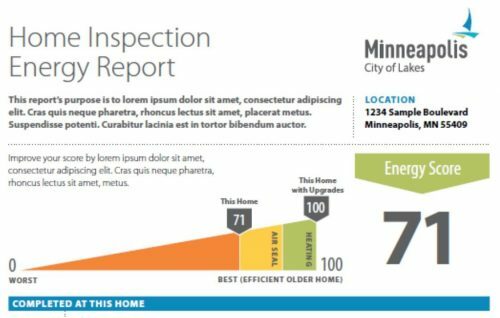 According to the CEE paper that I linked to above, "a Minneapolis homeowner can expect to pay about $150 ‐ $250 for a Truth‐in‐Housing inspection from City‐licensed inspectors. Ideally, any disclosure requirement would not add significant cost to this." Amen to that. The cost of this program should not add any significant cost to TISH evaluations. Additionally, the report that was released by CEE in October said the following about data collection without blower door testing: "Home sellers would not have to pay more for TISH inspections if this data is added, because it does not take extra time for inspectors to collect it." Sounds sweet, right? The problem is that the proposed program requires the TISH evaluator to perform blower door testing at every home, which is a time-consuming process. This will jack up fees on TISH evaluations...big time. Add on the cost for the needed blower door equipment, and the fees for TISH evaluations will at least double. I say this as a licensed TISH evaluator, and I think I'm being conservative. Energy disclosure is a good thing, reduced energy consumption is a good thing, and improved energy efficiency for homes is a good thing. Here at Structure Tech, we spend a lot of time talking about energy usage during our home inspections. We're passionate about this stuff, and we support the City's Climate Action Plan. I'm concerned, however, that the proposed methods would force home sellers through an undue hardship when selling their home. If we're going to be drilling big holes in walls and performing blower door testing, the disclosure requirement will significantly increase the cost of TISH evaluations. A Time-of-Sale energy disclosure program is going to happen, but exactly how it happens has yet to be determined. What do you think of this program? What could make it better? Minneapolis will be having another public meeting coming up in February. I'll post the details here once I have them.